Just look at that brick handphone. 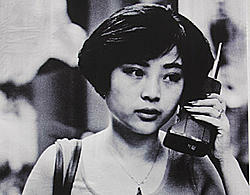 Does it seem like it was ages ago that telephones started to become mobile? The first hand-held mobile phone is, infact, not even 50 years old yet. First to be introduced in 1973 and commercially available by 1980's to customers who could afford to buy it (costs about USD 4000 back then, which is equivalent to USD 9300 today!) and don't mind carrying a 1 kg extra weight in their briefcase/handbag. By contrast, today's mobile phones costs and weights only a small fraction of the earliest brick mobile phone and packs more computing power and has more fuctions and capabilities than one could ever imagine back then. All this thanks to Moore's Law.